Antique brass strainer.The perfect bar tool to avoid getting lumps of ice and bits of fruit in your beverage, this Antique Brass Strainer is designed to help serve up smooth cocktails. 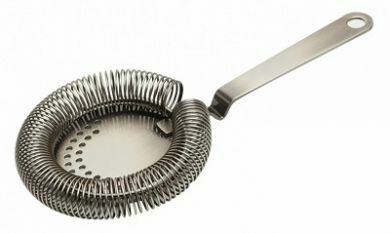 Ideal for bars, restaurants and cocktail enthusiasts, this bar strainer is highly versatile. With a sleek brass effect finish and made from a robust stainless steel construction.